I am pleased to announce the release of my fifth book and the next book in the Motivated Series of job search books, Motivated Resumes and LinkedIn Profiles. This book is unlike any resume or LinkedIn profile book ever written! It gives you unprecedented insight and advice from over a dozen of the most credentialed, experienced, and award-winning resume and LinkedIn profile writers in the industry. Motivated Resumes and LinkedIn Profiles is an instructional book on how to write persuasive resumes and LinkedIn profiles. It contains over 180 pieces of sage advice quoted throughout the book from these experienced and award-winning resume writers. You will learn how these writers create impact resumes and LinkedIn profiles that will stand out, get you interviews, and job offers! Get inside the minds of these writers. Learn how they think about keywords, titling, branding, accomplishments, format, color, design, and a host of other resume writing and LinkedIn profile considerations as they create stunning resumes and winning LinkedIn profiles. The book contains over 80 sample resumes and other job search written communications. Some say that Motivated Resumes and LinkedIn Profiles reveals too many secrets of the resume writing industry! Become an “insider” and learn the secrets from some of the very best. You can check out this newly released book on Amazon. 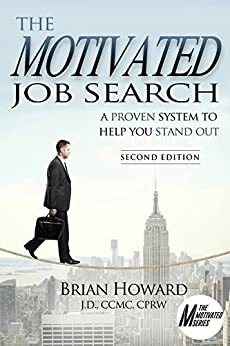 Other books authored by Brian Howard include: The Motivated Job Search, The Motivated Networker, Over 50 and Motivated, and The Motivated Job Search Workbook (to be used in conjunction with The Motivated Job Search and Over 50 and Motivated).